Hey babes!!! How is your curling technique? You happy with those big, beautiful waves? Or are your curls falling flat way too quickly? Curling your hair is not some special gift only a few of us are blessed with, literally anyone can get beautiful curls! You’ve just gotta learn what works for you and I have a few curling techniques to help. Keep reading to find out the 14 common mistakes people make while curling their hair. Are you guilty of any of them?! 1. You’re using the wrong size barrel. For short and medium length hair, use the 19 mm barrel. I know it seems small but I promise you’re not going to get Shirley Temple ringlets! To get those gorgeous curls/waves you need to be able to wrap your hair around your barrel at least twice. That means if you have shorter hair you’re going to need the smaller barrel – even if you want those loose waves. Curl with the smaller barrel and if your curls are too tight then relax the curls by brushing them out. For medium length hair, use the 25 mm barrel. Long hair or short, I typically reach for my 25 mm barrel. It creates a more defined curl at first but the curls relax day after day and just get prettier and prettier. 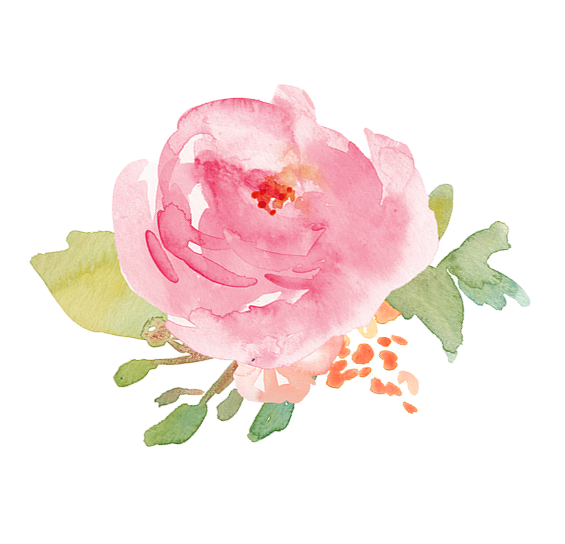 This size works well on all hair lengths but specifically medium length and long hair. I used my Flourish Trio with the 25mm barrel for these pictures! For long hair, use the 32 mm barrel. When you have long hair you can typically get away with any size. 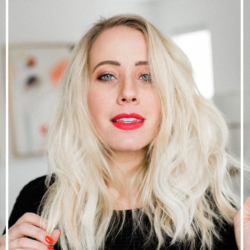 The 19mm barrel will create more defined curls, the 25mm will get you waves that will last a few days, and the bigger 32mm barrel will create those gorgeous loose waves right away. The bigger the wave, though, the less room there is for it to relax before falling out. Keep that in mind when you’re curling your hair – often I sacrifice being able to sleep in my curls for that immediate and voluminous wave! 2. You’re frying your hair. 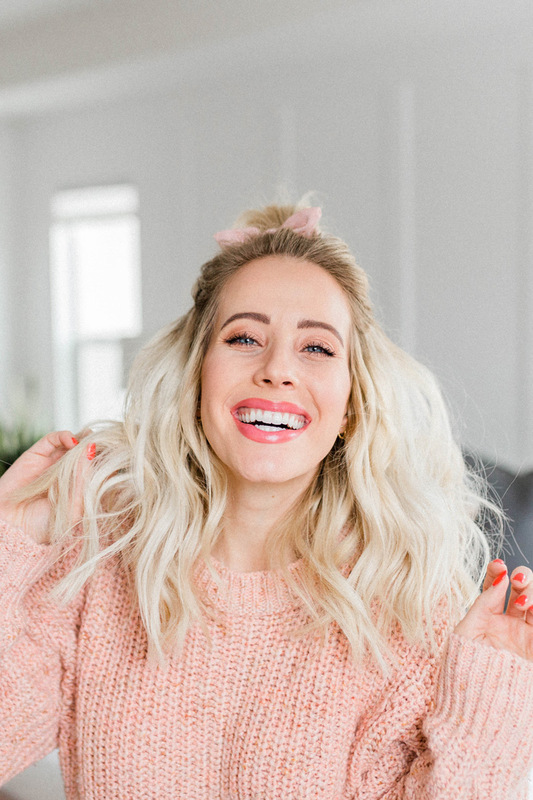 I am becoming obsessed with healthy hair and I want to help you get healthy hair, too. Obviously heat, any type of heat, is going to stress out your hair. 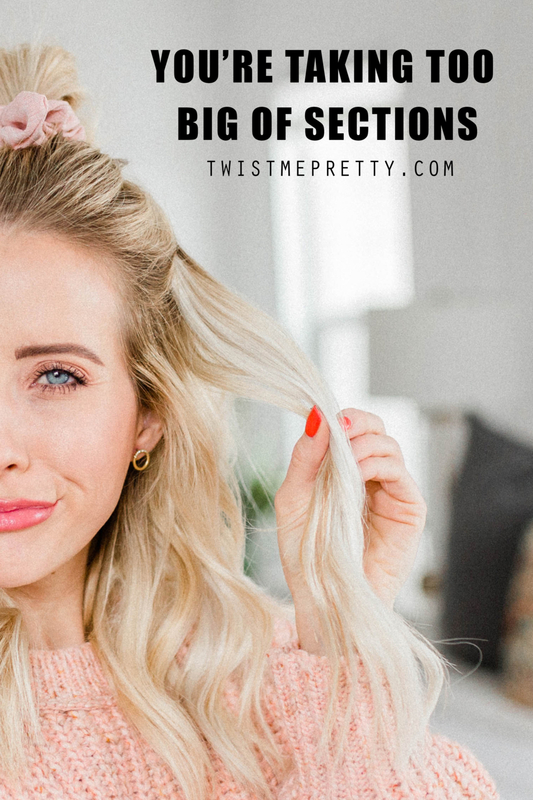 That hasn’t stopped millions of women though from blow drying or curling their hair every day — and it shouldn’t have to! Just stop cranking up the temperature on your iron. For fine hair, I recommend 270-300. For regular hair, I recommend 300-350. For coarse hair, I recommend 350+ and try to keep it under 400 degrees. Will this take longer to curl your hair? 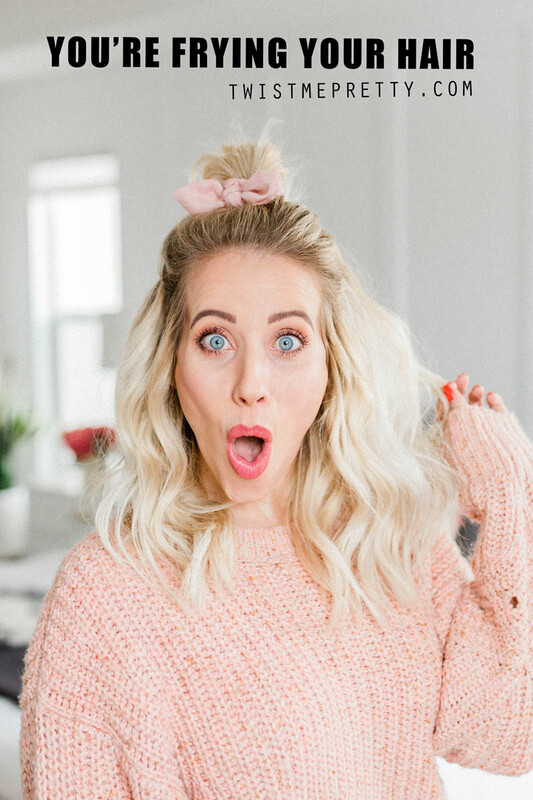 Maybe a little, but TRUST ME: you do not want to fry your hair! It’s better keep your hair wrapped around an iron at 300 degrees for 15 seconds than it is at 450 degrees for 3 seconds. If your curling iron has an on/off switch, ditch it. It’s most likely heating up to 450 degrees WHICH IS TOO HOT!!! 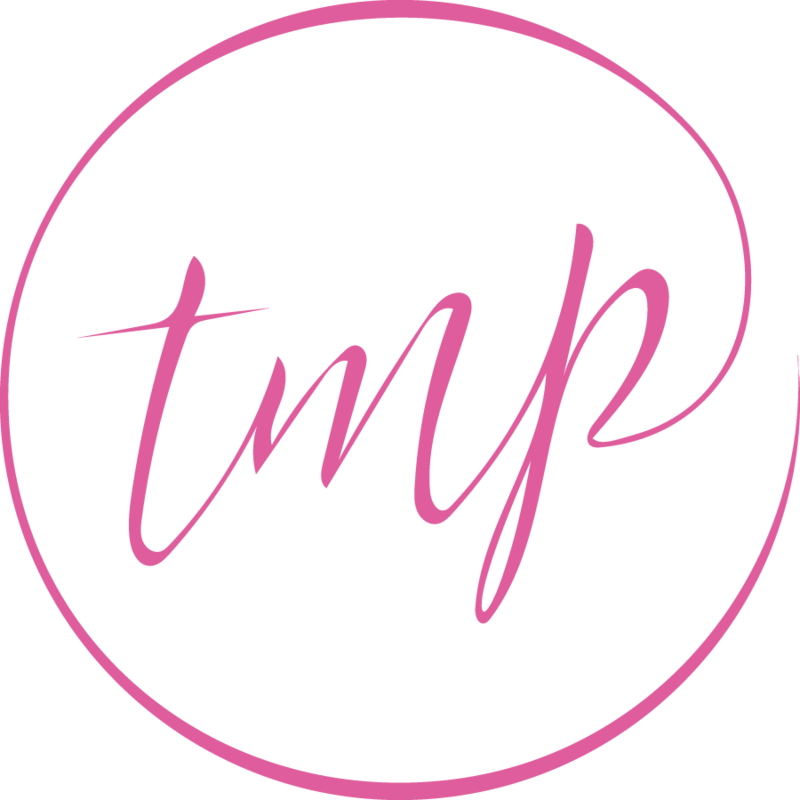 Checkout the Flourish Trio – it’s from my brand Flourish by Twist Me Pretty – it’s literally everything you’ll ever need in an iron. And of course, it has adjustable heat settings. Stop frying your hair! 3. You’re not using a heat protectant. Did you know that a heat protectant will protect your hair from heat AND help retain the curls? Use one! 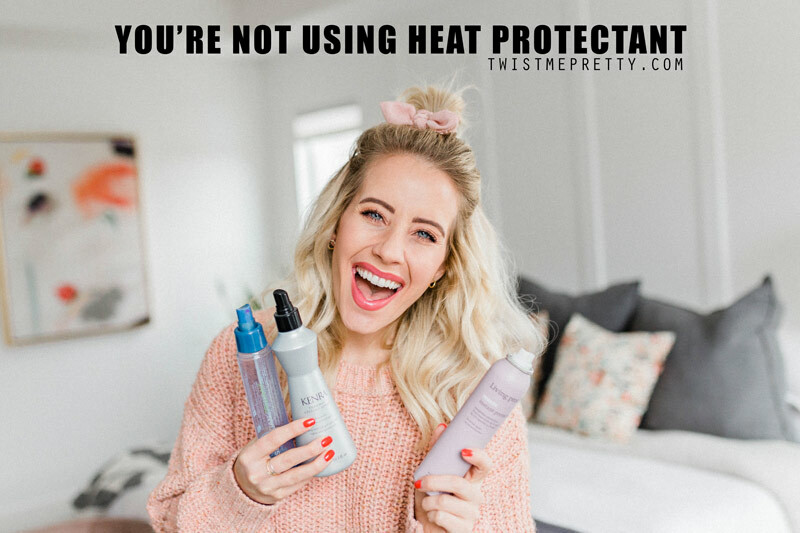 I don’t care if you use a cream right out of the shower, an oil after your hair is dry, or a spray as you’re styling– just USE A HEAT PROTECTANT!! These products are a game changer. Trust me!! 4. You’re taking too big of sections. 1. Section your hair layer by layer, I typically do about 4-5 layers when curling and I work my way from the bottom up to the top. 2. Within those layers, curl one-inch sections of hair at a time. If your curls are inconsistent, some of those sections might have been too large or too small when you were curling. Sometimes, however, I love that beachy haphazard look so it really just depends on the style you’re going for! 5. You’re not curling away from your face. Curl the pieces near your face AWAY FROM YOUR FACE! Curling your hair away from your face will lift your curls and give you a more purposeful look! Give it a try and let me know what you think! 6. You’re holding your iron wrong. You want the barrel pointing down. This is a HUGE mistake that a lot of people get hung up on. Whether you are using a curling iron or wand, you should keep the barrel angled down. There are always exceptions to the rule, and I wouldn’t even call these rules… maybe guidelines! 9 times out of10 though you want the barrel facing down. It’ll help you drop the curl, set the curl, get consistent curls in the back and help them all look more uniform! Here are a few exceptions: if you don’t plan on setting the curl, if you have really long hair, if you’re already in the habit of curling your hair a different way and it’s working for you, if you’re not getting kinks near your roots and if your curls a fairly consistent. Generally, though, you want your barrel pointed down! 7. 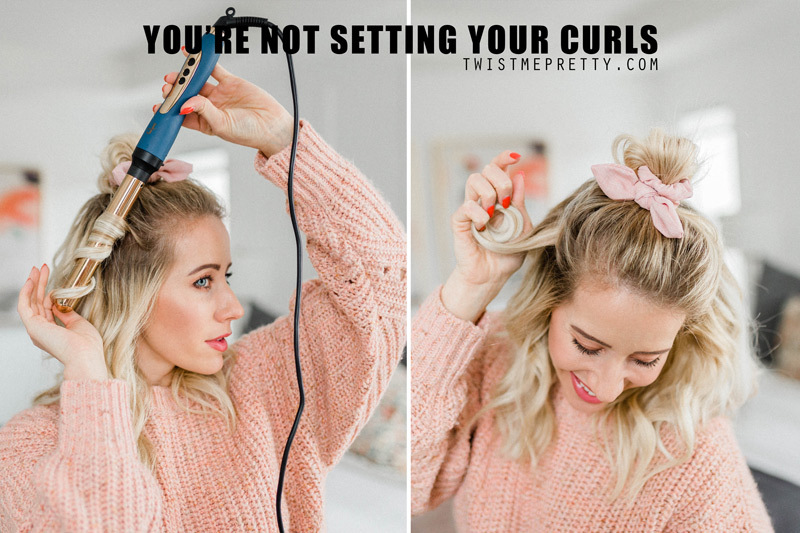 You’re not setting your curls. Are your curls falling out even though you’re using the right barrel size? 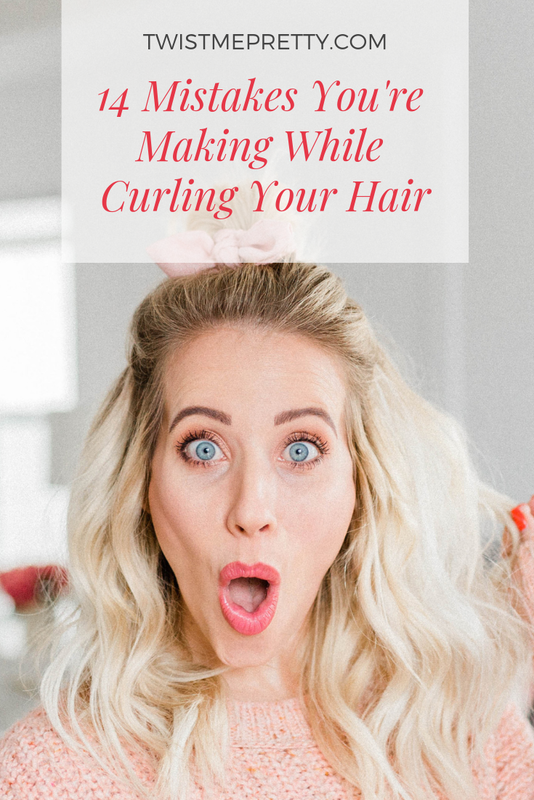 Chances are, you’re not setting your curls and you NEED to be! 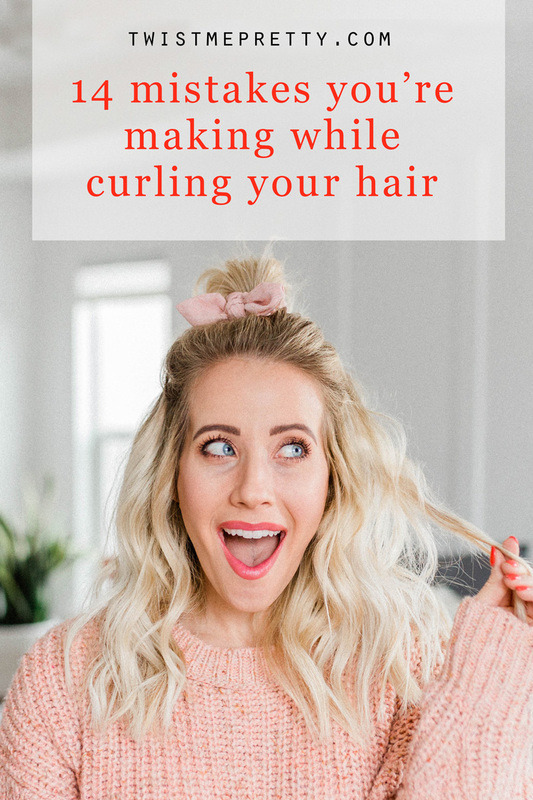 Setting your curls comes in handy when you have stick straight, or very fine, hair that doesn’t like to hold a curl or when you want curls to last more than one night. Set your curls with your barrel pointing down. When your barrel is facing down all you need to do is let your curl fall off the barrel coiled up into your palm. Then keep the curl coiled until it’s cooled and…voilà! You’ve just set your first curl. 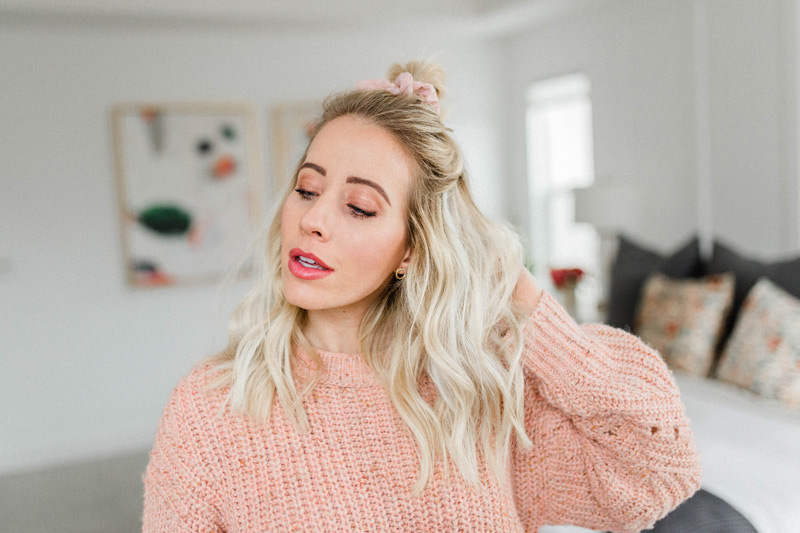 Setting your curls takes a few extra minutes but I promise it’s worth the time when you don’t have to put unnecessary heat on your hair for a couple more days! 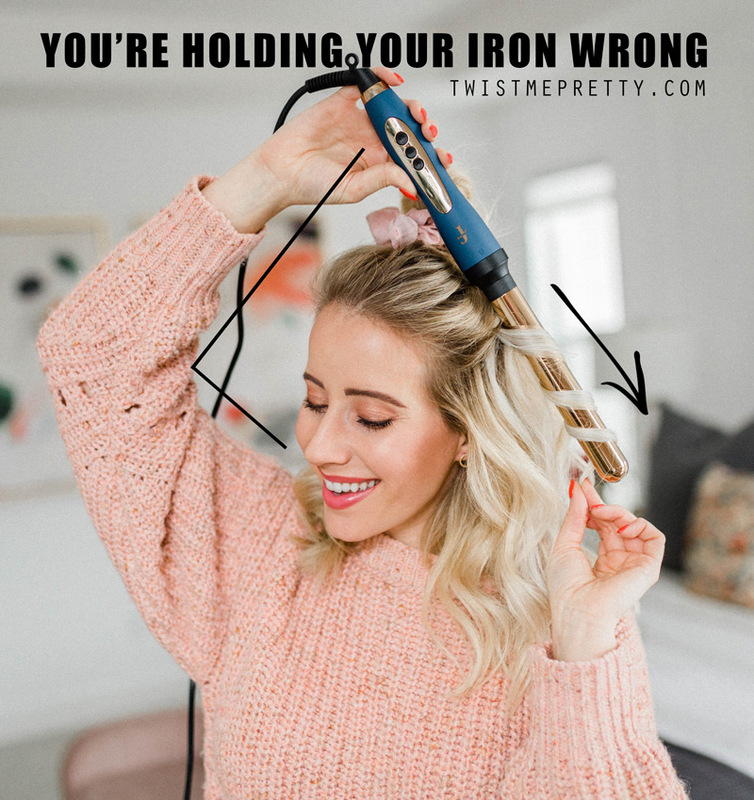 If you’re using the right size barrel, you’re using a thermal spray, you’re setting your curls and you’re curls are STILL falling flat… you might be using the wrong iron. 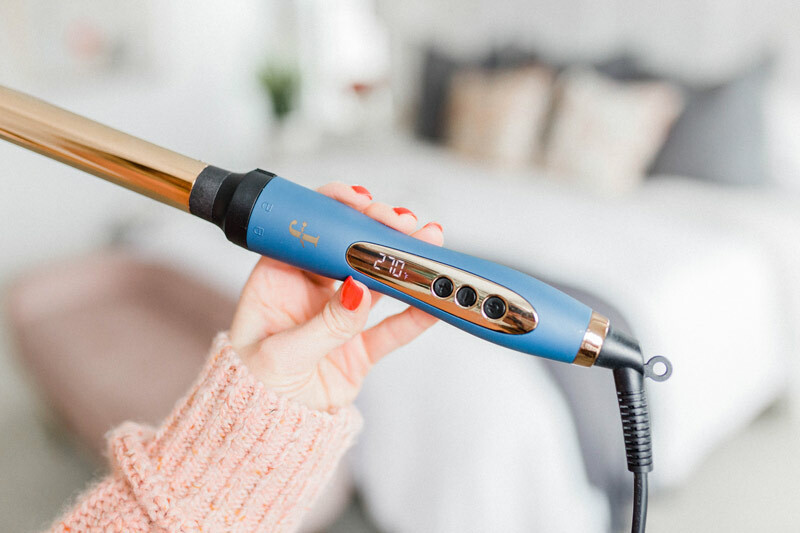 Go ahead an checkout the Flourish Trio – it’s made out of Titanium and it will literally change the way you’re curling your hair. 8. 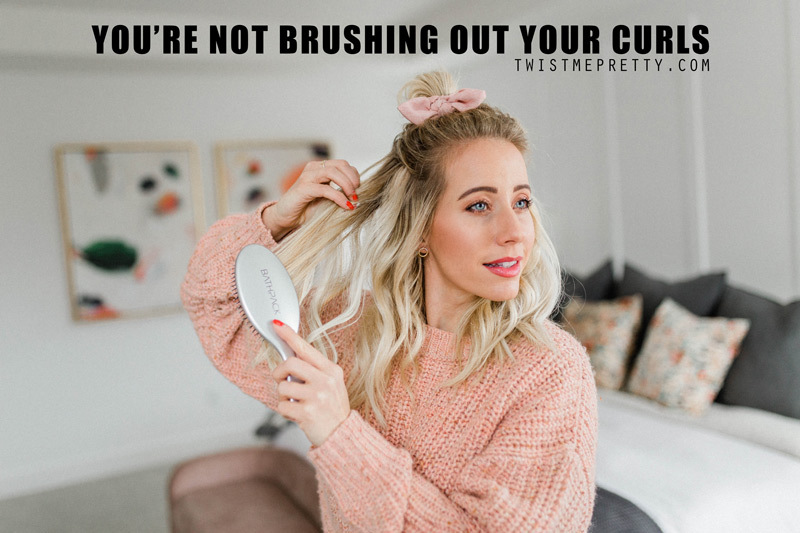 You’re not brushing out your curls. …Or maybe you’re brushing your curls out too fast! Before using a brush or running your fingers through your hair, make sure your curls are cooled. 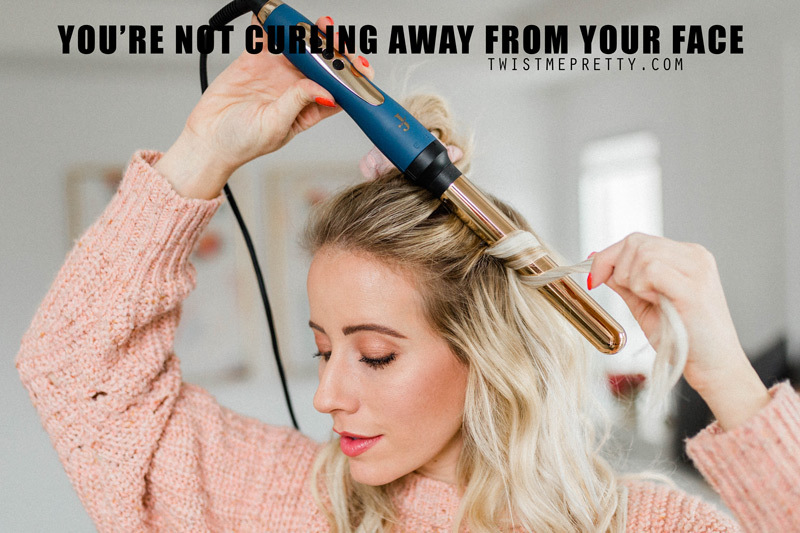 Unless you want to quickly relax curls that are too tight (maybe you’re using a small barrel to give you that extra staying power), hold off on touching your curls until they are cooled. If I’m using a smaller barrel, I like to take a brush and just go through my entire head full of hair. This breaks up the curls and relaxes them a little bit. I’ll then go in with an oil to clean up any frizz, and then use a texture spray to add some volume back into the hair. Some of my favorite brushes to use are the Wet Brush Pro Detangler and the Bathpack Brush. 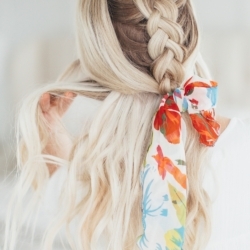 Say goodbye to knots and tangles, and hello soft wavy curls! If I’m using a larger barrel, I like to just use my fingers or a wide toothed comb to separate the curls but I’m extra gentle as to not pull out any of the wave. 9. You’re repeatedly burning yourself! If you can’t stop burning yourself, use a glove. Using a glove will give you the ability to practice wrapping your hair around your curling wand before committing to any burns! Even the best of us burn ourselves from time to time and I’ve got a battle wound on my forearm from last week! Get that muscle memory down with the glove and then as you get more comfortable with curling, go ahead and take it off. Another option is to make sure you’re curling at the end of the barrel, especially if you have shorter hair. The further down you are on the wand, the less barrel you have that’s in the way while you’re wrapping! Concentrate the curls on the middle of the barrel to the end unless of course you have very long hair and need the entire length. 10. 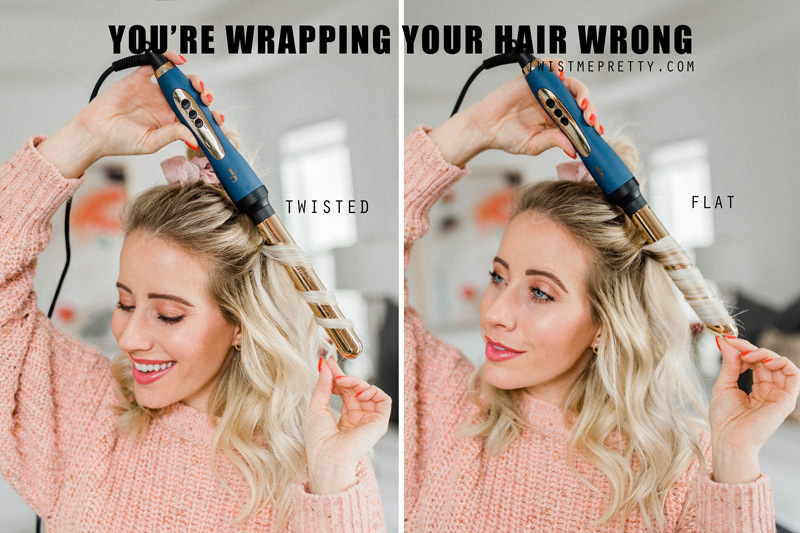 You’re wrapping your hair wrong. 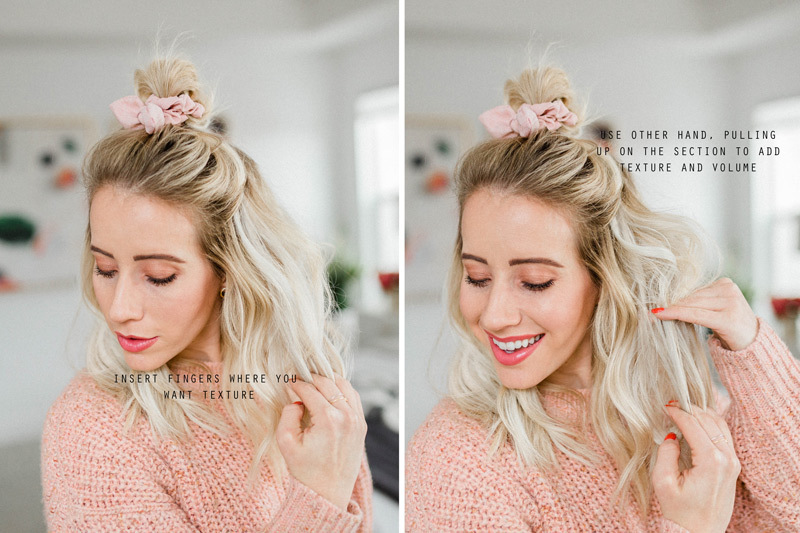 There are two ways to wrap your hair around the iron, which technique are you using? 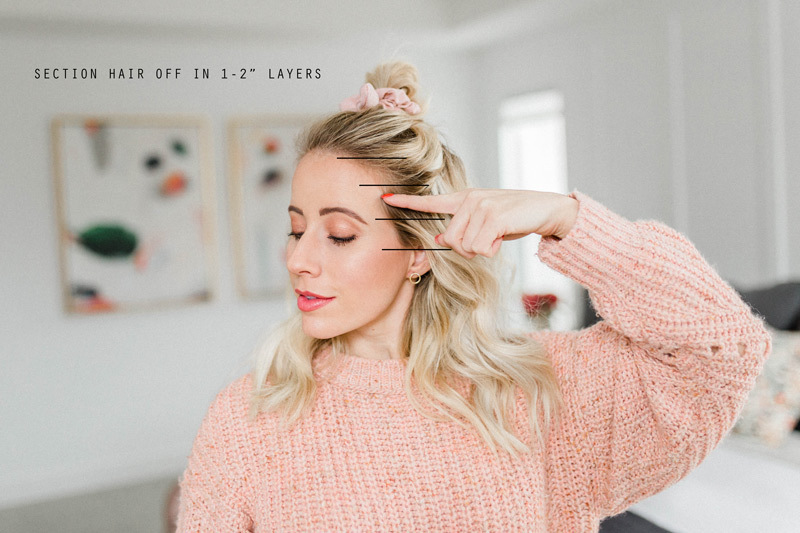 You can pinch an inch or so down from the section and while wrapping away from your face, keep that pinch in the hair. That will create a more tousled wave! The second way is to keep the hair flat against the barrel. 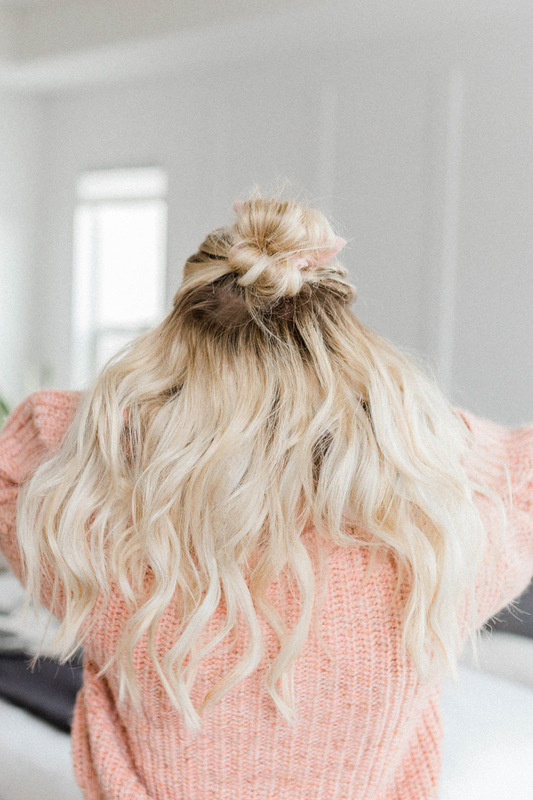 This technique will give you a curl that looks more like a curling iron curl. If your’e unhappy with your waves, try one of these techniques! 11. Your barrel is too short. One of the most frustrating things is running out of room on the barrel to curl your long hair! My hair used to be so long that I had to curl the top half of the section and then curl the bottom half of the section! The Flourish Trio is literally the best wand ever. 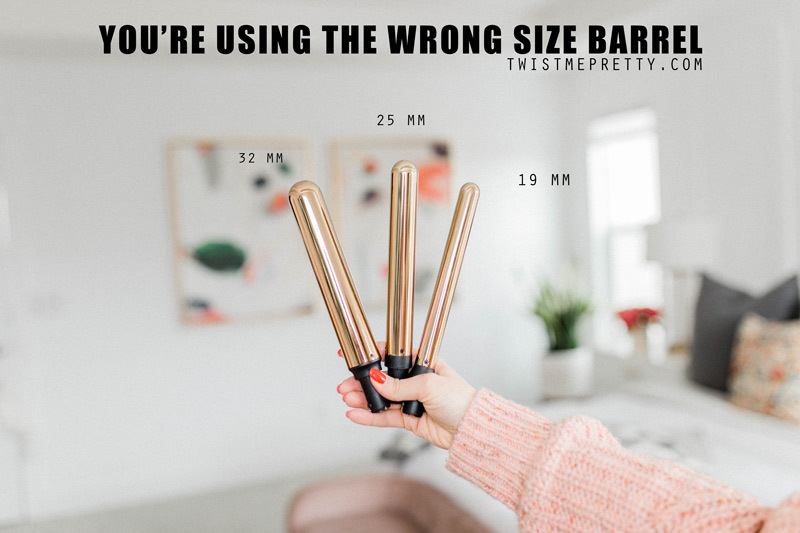 It has an extra inch-and-a-half on the regular sized curling wands. 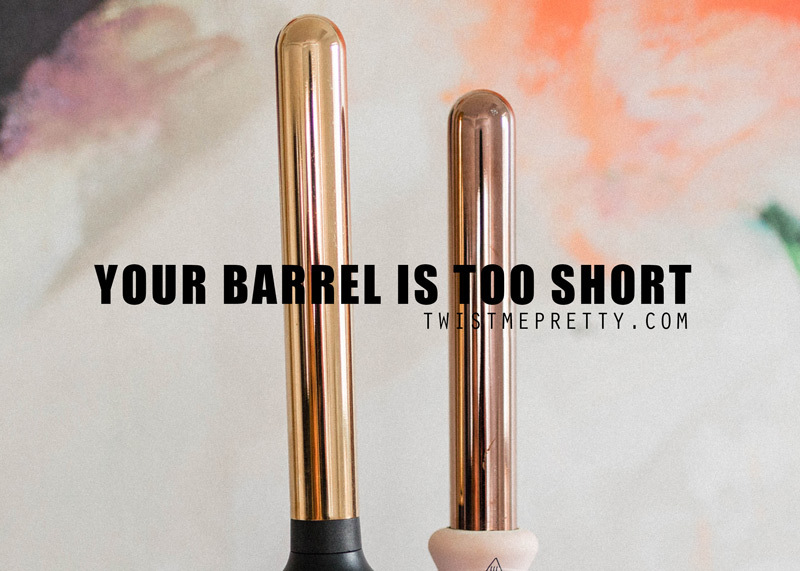 That’s not only helpful for those with long hair– the longer barrel comes in handy for us babes with short hair too! It makes reaching the back sections of hair easier and you can actually see where and how you’re curling. I don’t know what it is about that extra inch-and-a-half, but I feel like it’s a night and day difference! 12. 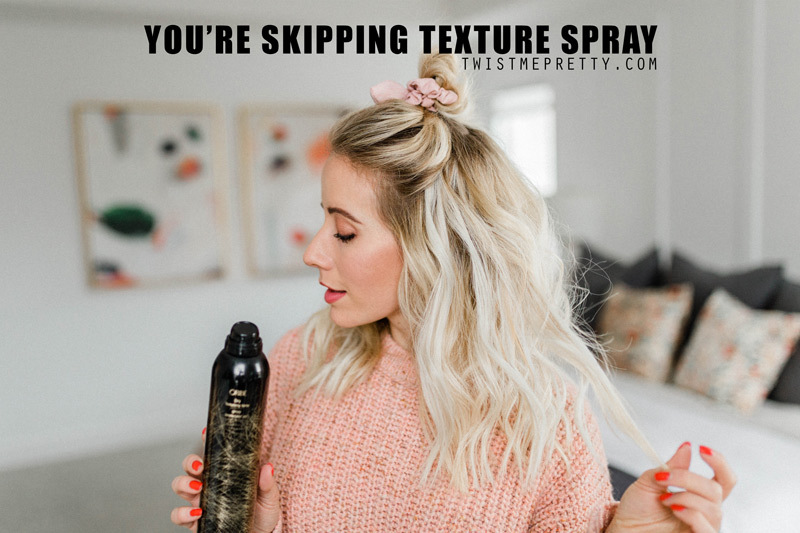 You’re skipping texture spray. To get body and movement in the hair, you need some texture! Nobody wants flat hair. Nobody. To get some texture, I like to use the Oribe Dry Texture Spray, it’s the most amazing stuff in the world. It’s a pretty penny though and I totally get budget constraints! The other sprays I can recommend are the Living Proof Full Dry Volume Blast and the Kenra Dry Volume Burst. All are great products and worth their weight in gold. I haven’t found a drug store option that really compares, but I’ll keep looking! If your hair is still super flat, have you thought about getting layers? You don’t need many, but a few layers will help give that body and movement to the hair. A few face framing layers will help, too. You don’t need to chop length, but light layers will help with body and movement. 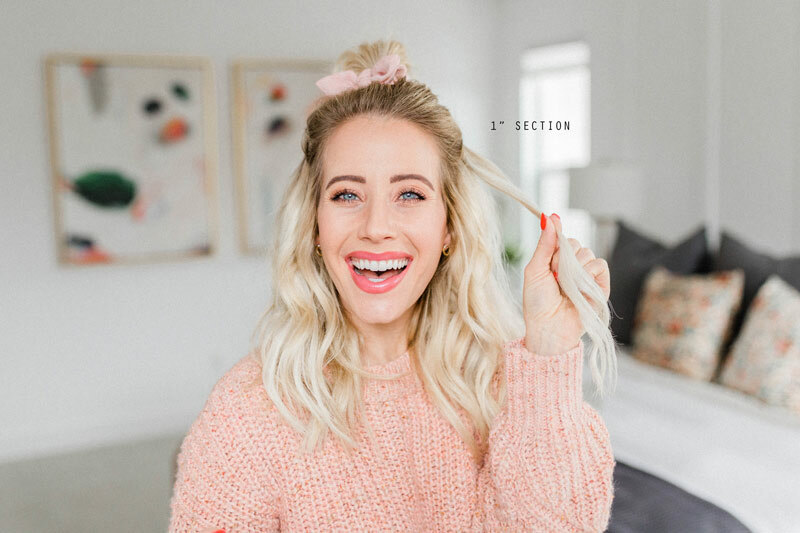 You’re looking for extra wild volume go ahead and insert your fingers where you want texture, then with your other hand pull up on the section of hair to add texture and volume. Have you ever tried this technique? Do not. Under any circumstances. Spray your hair with hairspray while it’s being curled!! You’re either, a) frying your hair, or b) ruining the finish on your iron. If you need hairspray, wait until the curl has cooled! 14. 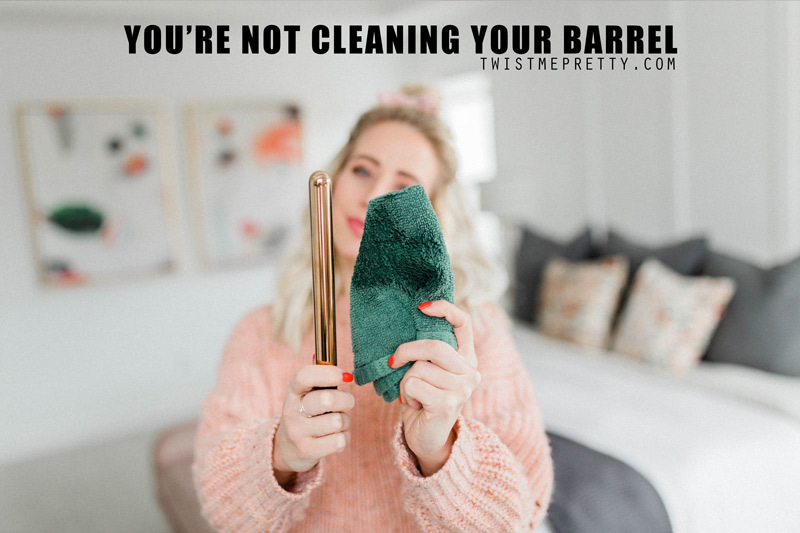 You’re not cleaning your barrels. Don’t forget to keep your barrels clean! How often do you clean your barrels? It might not be enough… product build-up on your iron not only affects the consistency of your curls but can also cause breakage. I like to heat my iron up or even clean the barrel right as I’ve turned the iron off. The iron should still be hot and sizzle when it’s wet but what I like to do is take a wet wash cloth to the barrel and gently scrub away any product. Do not use any solvents on your iron or you may risk ruining the finish. Have you been doing any of these things wrong? 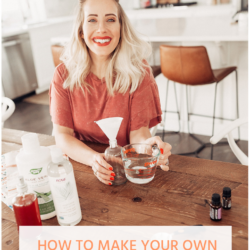 I’d love to know what you think about this post and some of the tricks I’ve shared in the comments below!